Ultimate Fighting Championship (UFC) Lightweight prospects Jake Matthews and Andrew Holbrook will collide this Saturday (Nov. 26, 2016) at UFC Fight Night 101 inside Rod Laver Arena in Melbourne, Australia. 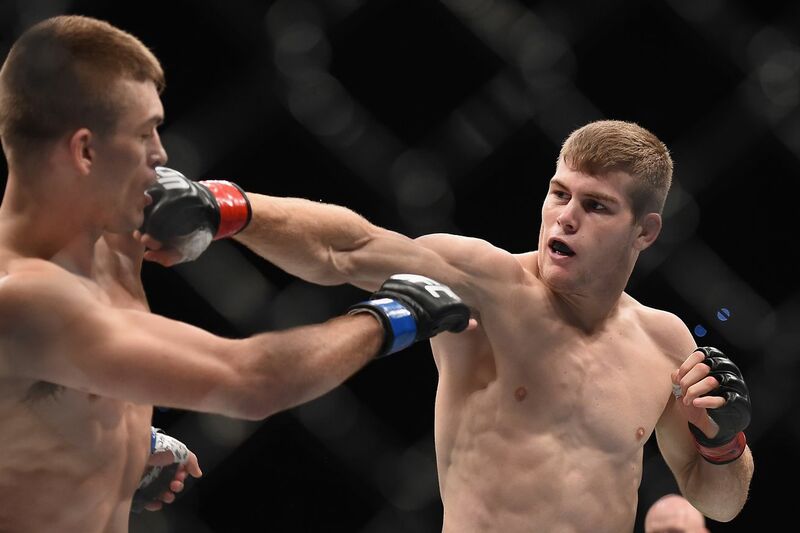 Matthews may be just 22 years old, but he’s also six fights into his UFC career. He’s the finest prospect Australia has at the moment, as the highly athletic finisher has proven to be a formidable bruiser. On the other hand, Holbrook has only fought twice inside the Octagon with mixed results. He still has a lot to prove, and he’s been given an extremely tough match up opposite the young Aussie. Keys to Victory: Matthews is a tremendous athlete with great grappling skills. His kickboxing has developed quickly as well, allowing him to finish nine of his ten wins via either submission or knockout. In this bout, the knockout should be his goal. Thus far, Holbrook has proven to be a talented jiu-jitsu player and decent wrestler. If Matthews make this a grappling match, he’ll probably win, but he could also slip into one of the veteran’s traps. On the other hand, Holbrook has proven to be less than durable on the feet. Ramsey Nijem rocked him multiple times, and Joaquim Silva knocked him flat in less than one minute. Sprawl-and-brawl is a perfectly reasonable game plan for the prospect. Matthews’ grappling experience will allow him to keep the bout on the feet, and his ferocious athleticism should help him find Holbrook’s chin and end this early. Nick Diaz White House petition hits goal of 100,000 signatures … now what?